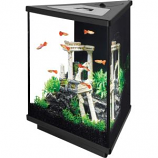 Petwholesaler is an online B2B distributor for wholesale aquarium accessories like Aquarium tanks, Aqua plastic bowls, Fish food clips, feeding tongs, Shovel scoopers, Specimen containers, Stand kits, Glass scrapers, Aquarium tank house covers and more. we provide services across the US with the best price in the market. Easy way to feed veggies to your fish! • Never Replace Your Suctions Cups Again! Cube shape aquarium with elevated base. Hood equipped with plant sustaining LEDs. Clear plastic cover provides easy access to filter. . . 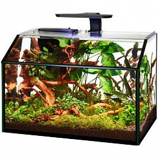 Kit includes: glass aquarium with clear lid clip on LED lighting shrimp filter preloaded with replaceable carbon cartridge. 10 pounds of plant and shrimp substrate included. . . .
• Used As A Maturation Tank For Fry Or An Isolation Tank For Injured Or Aggressive Fish. 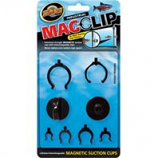 • Ideal For Egg Laying Fish. • Side Vents Allow For Optimum Water Flow. 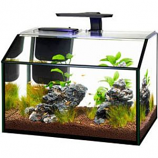 • Use As Amaturation Tank For Fry Or Isolation Tank For Injured Fish Or Aggressive Fish. • New Frame Style, With Removable Locking Legs. • Isolates Injured Or Aggressive Fish. 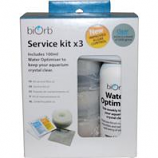 • Use As A Holding Tank, Treatment Tank Or For Observation Of Suspected Sick Or Pregnant Fish. 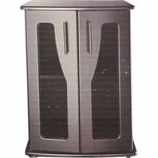 • Hang Inside Aquarium To Utilize The Benefits Of The Heater. Stylish Espresso Aquarium Cabinet with Water resistant finish.. Front door access. Easy to assemble. . .
Soft comfy inflatable protective collar for: injuries rashes or post surgery.. Scratch and bite resistant: canvas lined outer jacket protects air bladder completely.. Allows pets to eat sleep and play at ease while staying protected.. . .
Includes 100ml water optimiser to keep your aquarium crystal clear. 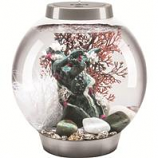 Ok for all aquariums. . . .
• For Fish That Love To Explore!